time Please contact us for class times. Monday to Saturday. cost Please contact us for costs. Free assessment and Swim Cap with every registration. The academy is situated central to Sandton, Hyde Park, Craighall , Linden and Bordeaux. Now also with Aquaphysical Classes and special needs classes. The 1st pool is 10m x 8m and 1,2m deep. The 2nd pool is longer with a deep end to teach advanced strokes and diving. It has inter-linking change rooms with toilet facilities. All classes are all 30 min. 6 highly qualified and experienced instructors working full time including Saturdays. Bookings are essential for the Summer terms. 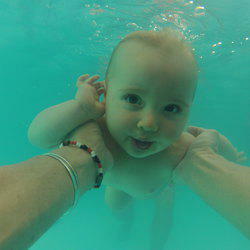 ** NEW: We have introduced the AQUAPHYSICAL FLOATFIT classes, very popular in UK and Europe. Great fun balancing and building core muscles on boards, ADULTS ONLY. Domestic carer water safety and rescue. Special needs hydro therapy. 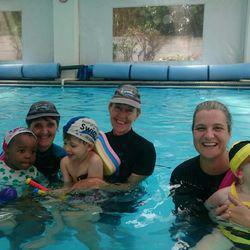 Our swim school is accredited with Swim South Africa and Central Gauteng Aquatics. All our teachers are highly qualified with PSTCA (Professional Swim Teachers and Coaches Association), PBSTA, (Professional Baby Swim Teachers Association) Swim Dynamics, Tod Swim, ACSA,SSA,(LTS) First Aid and CPR compliant.